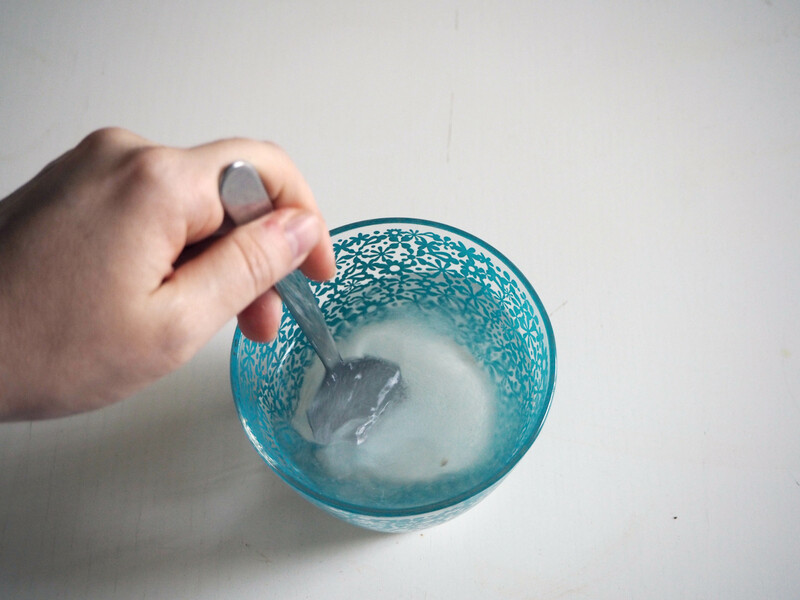 If you want to have a dessert that is quite sweet but not with tons of sugar, I recommend you this extremely easy recipe! I don’t remember when and how I got to know this dessert. It is a Turkish dessert (I think!) but I never saw it back when I was living there. 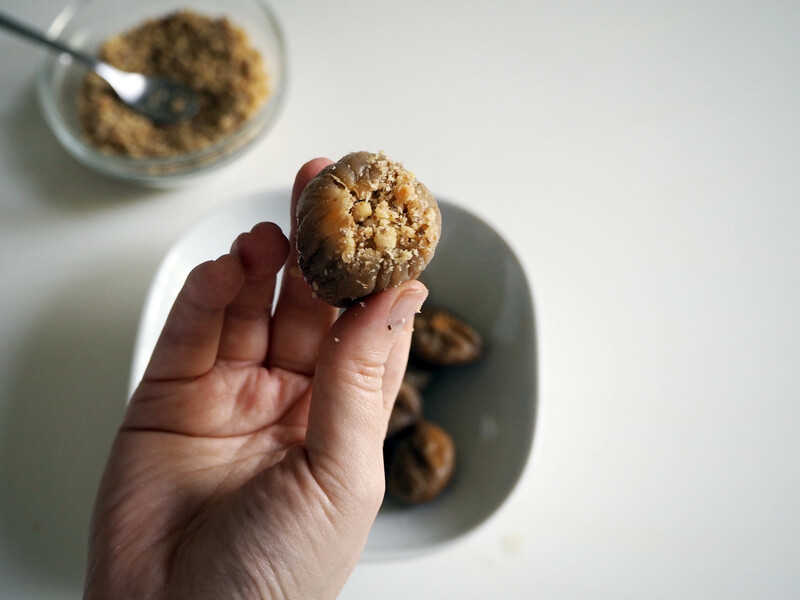 It may have something to do with the fact that I was an idiot at that time and did not like – fresh or dried – figs. So here in Finland, I guess because it is way more expensive than Turkey and because I am an idiot, I started to like figs – mostly fresh figs, but dried ones would do too. Dried fruits, any of them, are delicious and very sweet just by themselves. And yet, adding delicious roasted walnuts makes the whole thing much much richer. There is a little bit of sugar involved in making the dessert, yes. 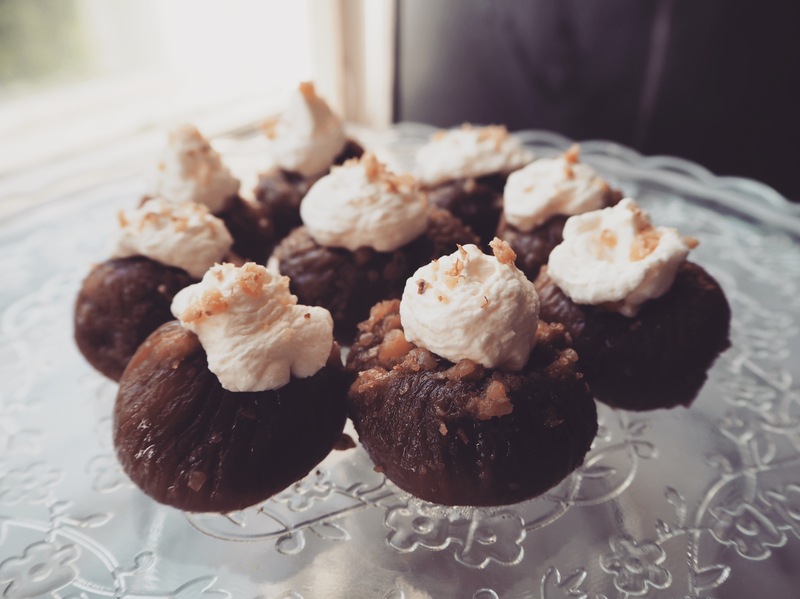 The stuffed figs are cooked in a simple syrup with sugar. 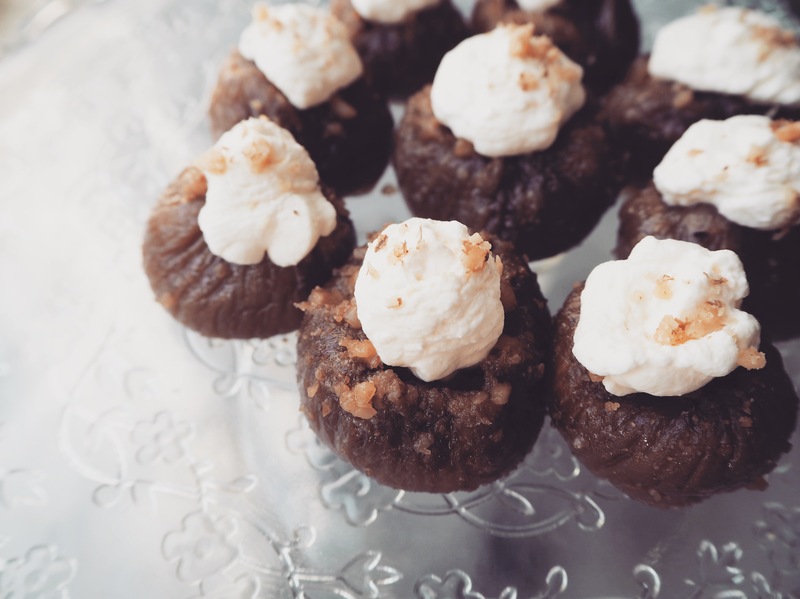 However, the majority of sweetness of the dessert comes from figs and walnuts themselves. Because of the natural sugar content they have, the dessert becomes sweet but not overwhelmingly so. Still, for me, it is enough to eat 1 or max 2 at a time. Otherwise I feel like I can climb the walls with the energy it gives! 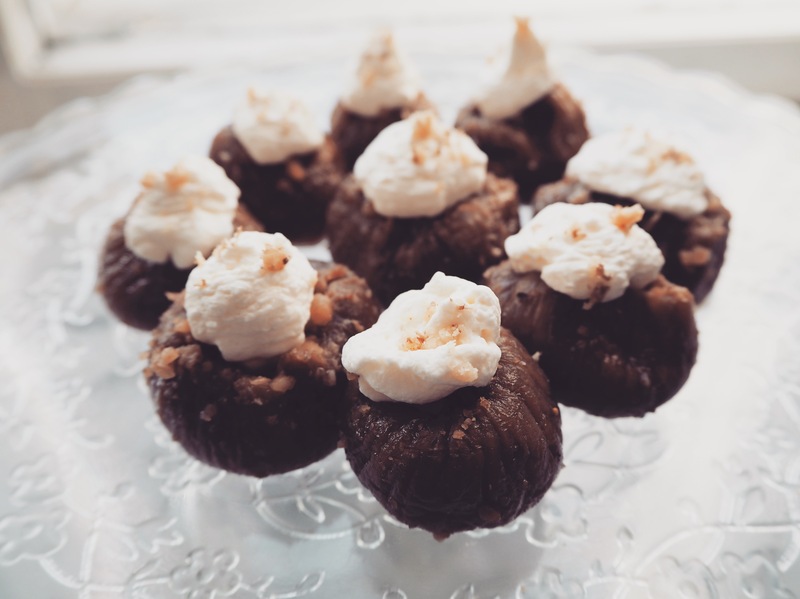 Serve the figs with or without cream and ground nuts like walnuts or pistachios. They will be equally tasty either way. Enjoy! *I am giving an approximate measurement for walnuts because the amount you use will depend on the size of your dried walnuts. 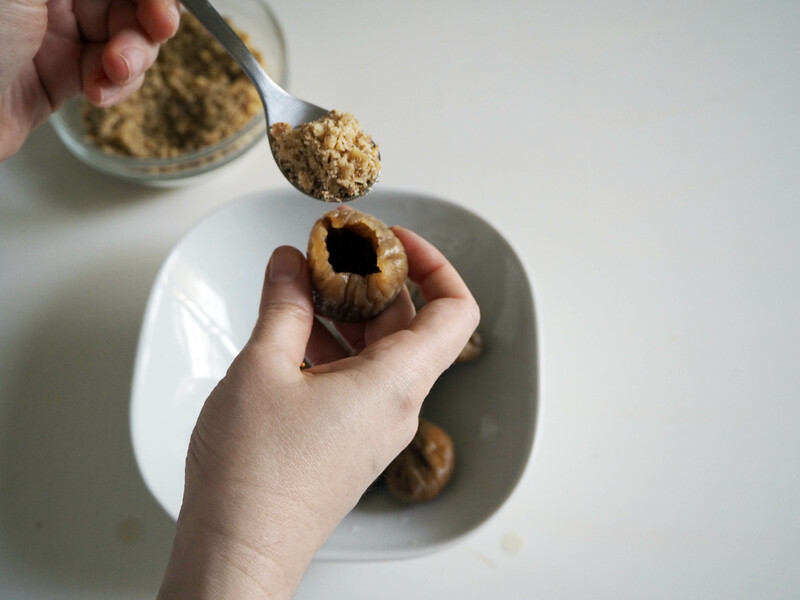 Be sure to roast the walnuts in a 200C preheated oven for 6-7 minutes or until they start to brown and then crush them coarsely using a food processor (or mortar and pestle). Roasting walnuts make them taste richer. 1. Drain soaked figs. Cut the head so that you can open them up. 2. 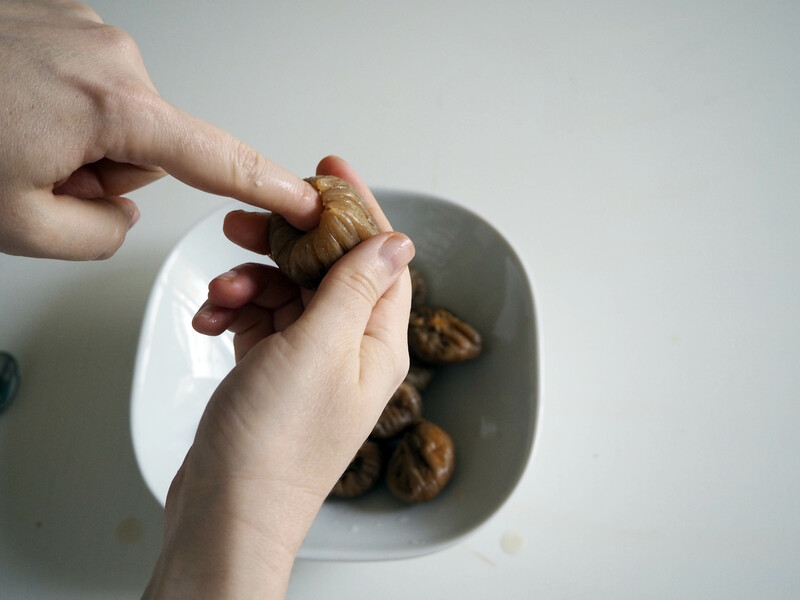 Using your finger, open the figs and create a hole to stuff the walnuts inside. 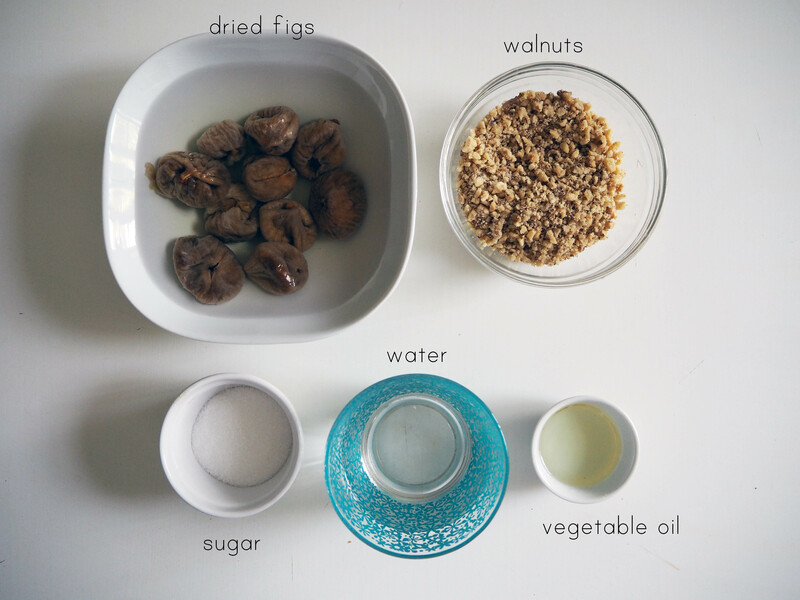 Fill the figs with walnuts as much as possible. 3. 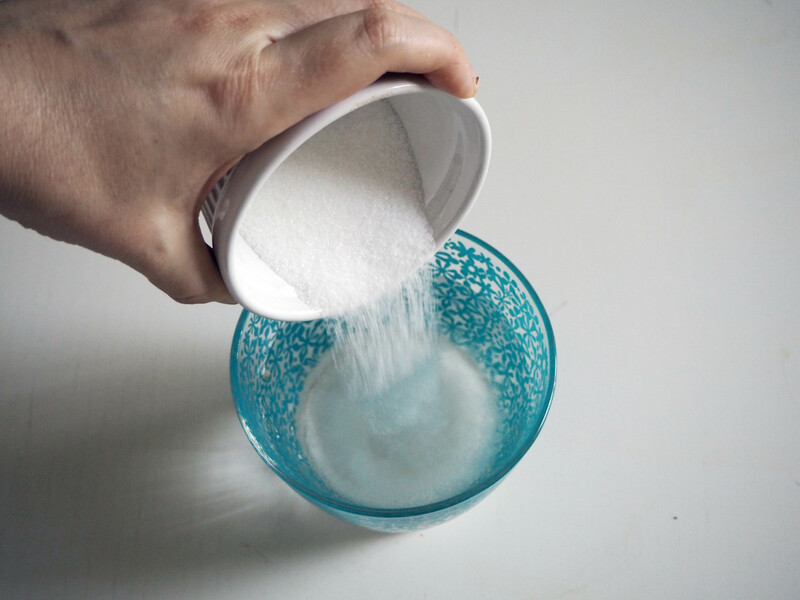 Dissolve sugar in warm water. 4. 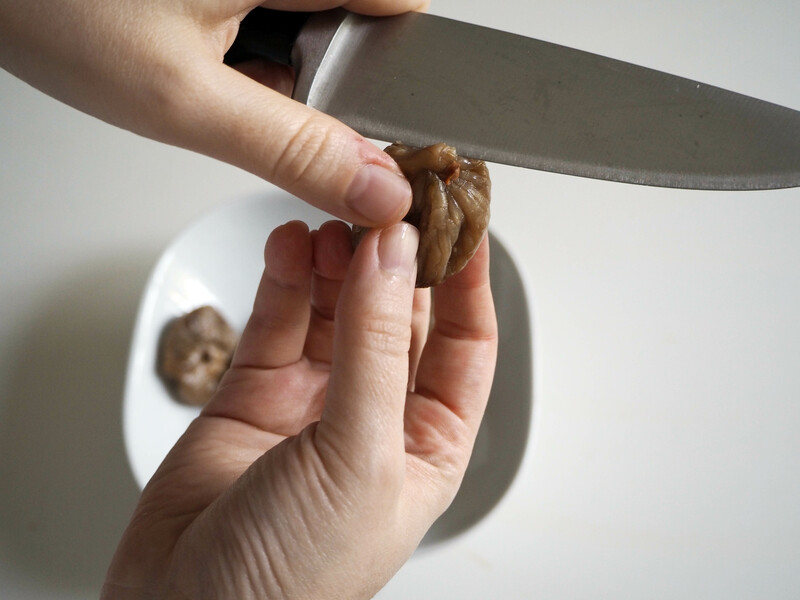 Put stuffed figs in a small pan. 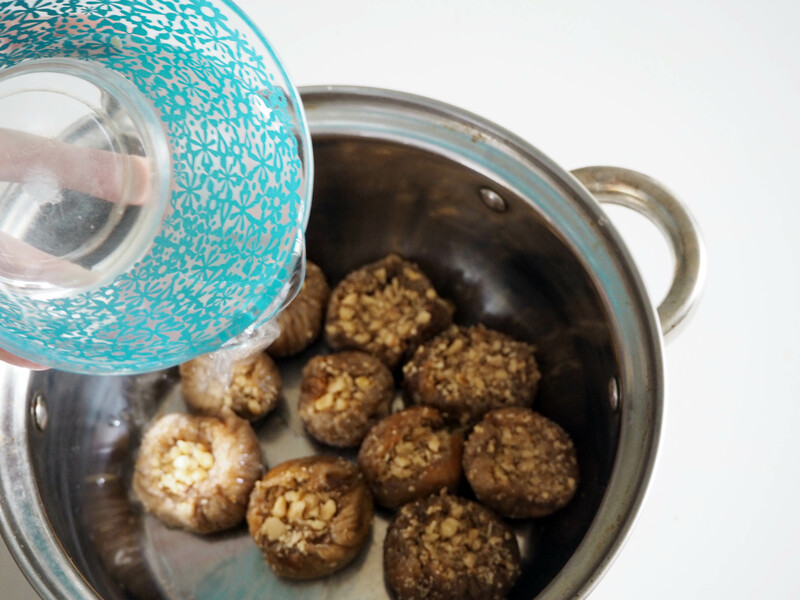 Pour sugary water in the pan (do not let the water level exceed figs). 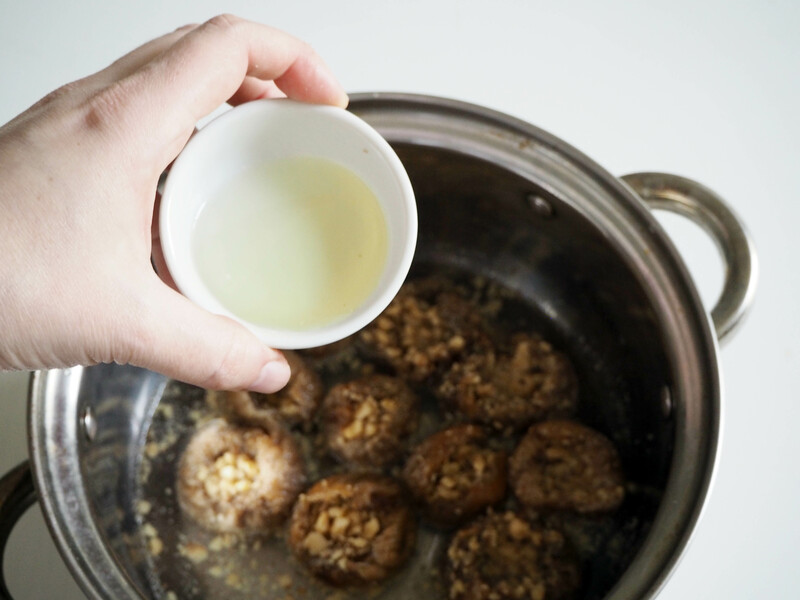 Drizzle vegetable oil and cook the figs in the pan on low heat for about 20-25 minutes, or until most of the water (but not all the water) is absorbed. When cooked, let them cool to room temperature before serving with cream and ground nuts. Cream is optional but it definitely adds an extra rich taste to the dessert so I highly recommend. Enjoy! 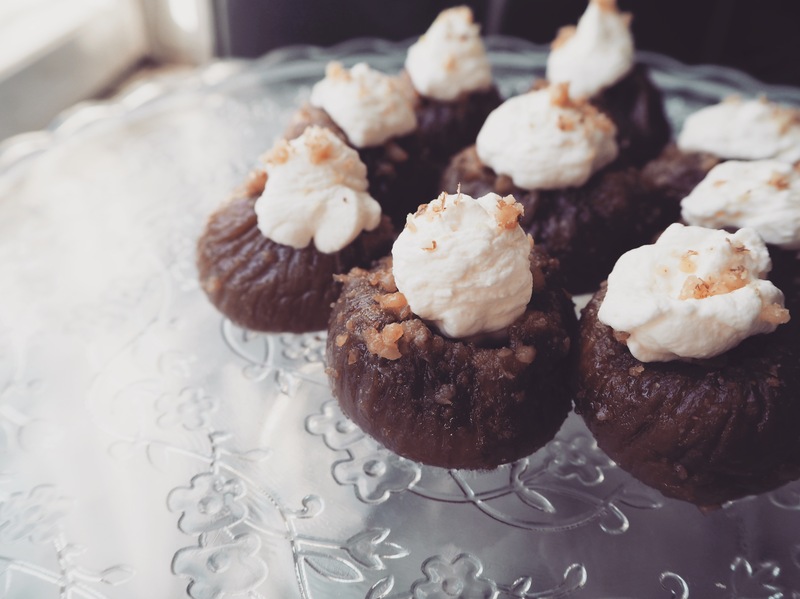 Previous PostWhite Chocolate Chili Cookies – Chili Wonka!